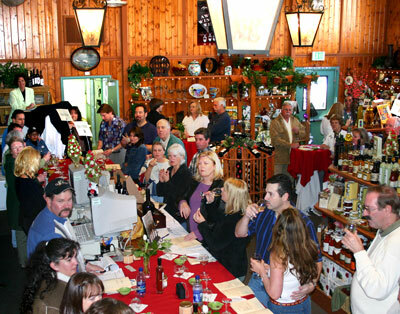 Agua Dulce Winery is a 90 acre, family owned and operated, fully operational winery and vineyard, featuring daily wine tasting and tours, a gourmet gift shop, and wine sales. We are located just 45 minutes north of downtown Los Angeles and have earned the honor of being Los Angeles County’s leading fine wine grower and producer. Wines from Agua Dulce Winery have won multiple medals in several national wine competitions. We are grateful for the recognition our hand-crafted approach to wine making has received, while understanding that our vineyard is blessed with natural soils, climatic and geographic advantages unique to the Sierra Pelona Valley. After a three year effort we are pleased to announce the formation of our wine growing region, the Sierra Pelona Valley appellation. We are excited to include the appellation on our wine labels and marketing materials! We invite you to come visit us and see the vineyard for yourself, taste the wines and enjoy the wonderful beauty of Agua Dulce Winery.